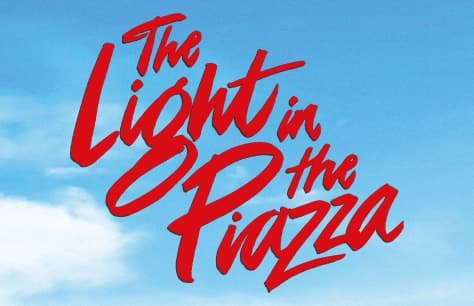 The Light in the Piazza tickets are now available for this unique musical’s London premiere at the Southbank Centre’s Royal Festival Hall. Margaret and her daughter Clara are vacationing in Florence for the summer and are determined to make the most of it. When Clara and Fabrizio are blown together by chance, it seems that love is in the air. But will long-held secrets come to light and ruin the young couple’s chance at happiness? This stunning musical embodies the feeling of Italy, eschewing the typical pop/rock of musical theatre in favour of a devastatingly beautiful and romantic operatic score. World renowned, award winning opera singer Renee Fleming, recently nominated for a Tony Award for her role in Carousel, stars alongside Disney Channel darling Dove Cameron. Both women make their West End debuts under the masterful direction of Tony and multi Olivier award winner Daniel Evans. With live music by Opera North’s 40 piece onstage orchestra, The Light in the Piazza promises to be a London theatre experience like no other. The 6 time Tony award-winning musical is making its way to London for a limited 4 week run at the Southbank Centre’s Royal Festival Hall. Tickets for The Light in the Piazza are anticipated to be some of the hottest of the summer. Book The Light in the Piazza tickets now to avoid disappointment and ensure the very best seats at the very best prices.